Prospects looked good this morning with the river again sitting at an ideal height. 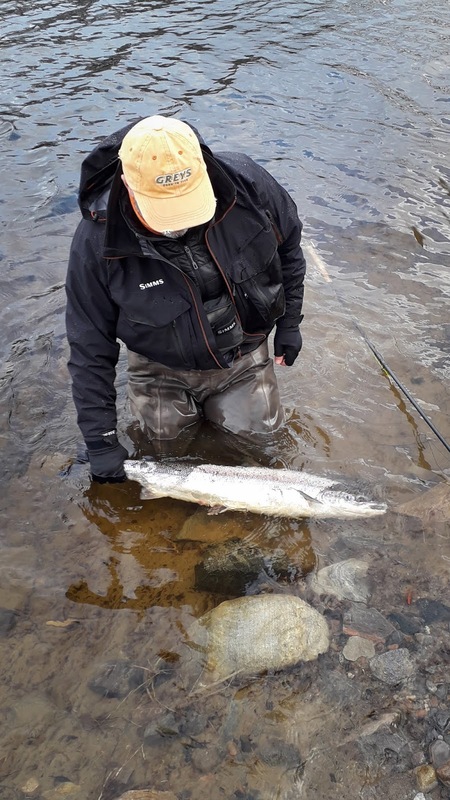 We had to wait until the afternoon, though, for Martin Wilson to land the only fish of the day - a superb fish of 15lbs caught on the fly from Port-na-Craig bank. Great to see the beat fishing so well this early in the season- and looking very promising for the rest of the week.